When you pay money for a delivery service, you expect it to come with a smile, not a rude note. Unfortunately, one family has reported a very unpleasant encounter with a Tesco driver. Beth Lloyd suffers from a debilitating illness, Crohn’s disease, which leaves her struggling to walk, and this is why her family ordered a delivery of groceries from Tesco, The Mirror reports. But when the driver pulled up to deliver her £130 shop, Lloyd didn’t hear him knock at the front door. Nor did she hear her phone ringing when he attempted to call her. The driver was annoyed by this, but instead of being a professional and dealing with the situation in a dignified manner, he reportedly sprawled a nasty message on the “Sorry we missed you” card and shoved it through the letterbox. Lloyd claims that her son told her that someone had put something in the letterbox, so she went, along with her husband, to the door to apologise to the man, who reportedly “blanked” them and left. The couple, concerned as to how they would get their shopping, read the card in the morning in the hope of discovering further instructions, only to find “Dear Mr and Mrs I Can’t Be A***d Going to the Shop” handwritten across the top of the card. Understandably upset by the incident, Lloyd decided to share her story with the media, sharing how disappointed she is in the retail giant. “Tesco say ‘every little helps’ but that note was no help at all to me,” she said. “I’m a mix of disappointed and upset at what he said — I still almost think that maybe he did it for a mate as a joke and accidentally posted it through our door, but the more I think about it, he didn’t try to put any details on it. “Ordering the shopping is something I can do to feel normal, and having a delivery is brilliant because it makes me feel useful — but it seems I’m being judged for ordering the shopping on a computer instead of going to the shop itself,” she added. Lloyd went on to explain how angry her husband was over the situation and how hurt she felt, adding that if someone really needs the delivery service, they should not be made to feel inferior or judged for it. “He might have someone that needs to use these services, and it gives him a job too. We are the first to be thankful to any driver,” she said. The driver may not have known about Lloyd’s health, but there was absolutely no reason to make the assumption that she was lazy. And even if someone just didn’t want to go to the shop, that’s their choice, and they are paying for the service. 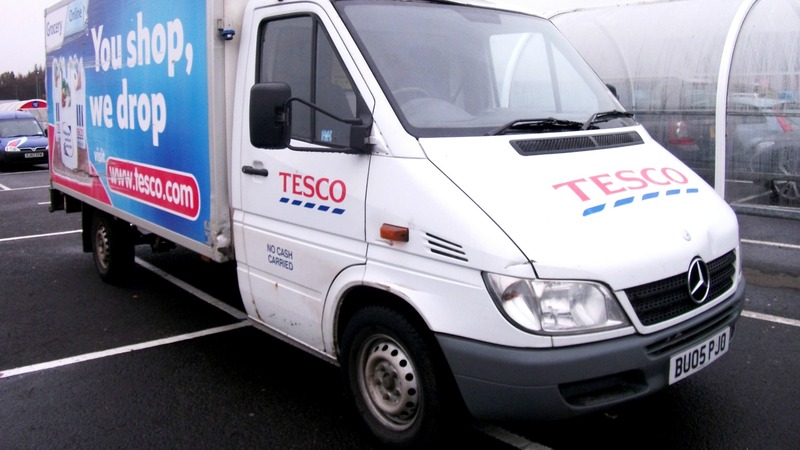 Tesco claims that they are “urgently” investigating the complaint, with a spokesperson saying, “All of our customer delivery assistants undergo a comprehensive training program to ensure they provide great service on the doorstep, so we were concerned to hear about this complaint. What do you think of the driver’s actions? Share your thoughts with us in the comments below.